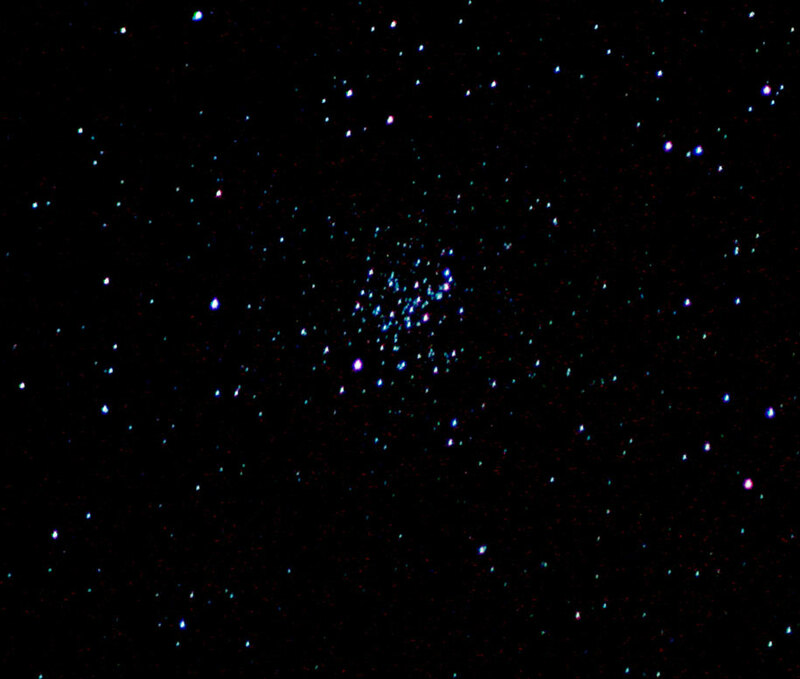 This image of M67 was captured by Chris Newsome on the 28th February 2006. The image was taken with a Canon EOS 300D camera at the prime focus of a Skywatcher 80T refractor and comprises four 60 second frames at 800 ASA, calibrated in Maxim DL and processed in CS2. An Astronomik CLS filter was employed to reduce the sodium light pollution.